It was a busy week for OBX Real Estate with weather warming and buyers/sellers ready to finalize their real estate plans. Matt Myatt had 2 closings, listings and price adjustment. 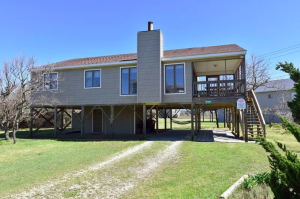 Matt closed 119 Ocean Bay Blvd, a 4-bedroom home located on the oceanside in Duck, NC. 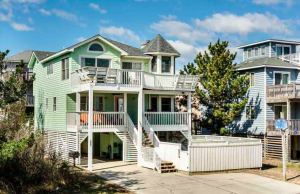 This well-maintained property has direct beach access and promises years of fun for the new owners. Congratulations to our sellers! Matt also closed 546 Porpoise Point, a 5-bedroom home located semi-oceanfront in the Corolla, NC community of Ocean Sands. This rental property has tons of potential in a super popular vacation rental location. Congratulations to our sellers! Matt listed 417 Mitchell Court, a 3-bedroom home located on the westside in Kill Devil Hills, NC. 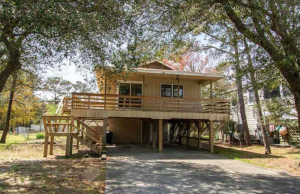 This beach box cutie was listed for $209,900 and went under contract in just 6 hours after going live. We are super excited for our sellers and the Keller Williams agent who brought these ready-to-move buyers. 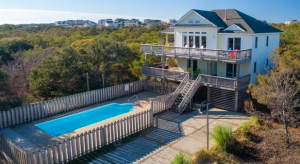 Matt reduced the listing price for 632 Tern Court, a 6-bedroom home located oceanside in the Corolla, NC community of Ocean Sands. This vacationer’s delight offers an easy walk to the beach, ocean views, bright and cheery light and decor, private pool and all the extras you need to maximize rental potential. This week also included meetings with potential sellers and prepping new listings to be added to our buzzing OBX market. Start your search or contact Matt Myatt with Keller Williams Outer Banks today to make your real estate plans a reality for 2019.